As in many specialized fields, there is a host of terms that hold a specific meaning, and the world of project management (PM) is no exception. Although project management professionals have an understanding of these specific complex PM terms, the vernacular may not be as intuitive for professionals in other fields. These PM terms define not only what is being done, but also provide some very specific guidelines for how, where and/or when these terms are applicable. The field of PM is highly complex with skillsets that are employed widely within almost all industries; exposing the field to a global audience. The project management field spans 10 interconnected knowledge areas and incorporates the use of 47 processes organized into five process groups (initiating, planning, executing, monitoring and controlling and close-out) -- making it a complex field to understand and navigate. As project management is applied within small businesses to large multi-national organizations and to virtually any industry in some form, anyone from the CEO of a large international organization to employees within a small business can benefit from understanding these PM terms. Since project management involves careful planning, execution and management of people, processes, timelines, deliverables, technologies and other resources in a way that aligns with overall strategic objectives, successfully executing a project, can be almost impossible absent the understanding of these PM terms. The terms outlined in this glossary hold a specific meaning, but may be applied somewhat differently and at different times depending on the industry and project nature. This glossary serves to provide professionals at all levels with a foundational knowledge of the project management terms and how they are generally applied within the field. The five project management phases are: initiating, planning, executing, monitoring/controlling and close-out. The term “phase” and “process group” are used interchangeably and cover all processes and activities within a project from start to finish. In project management, knowledge areas illustrate a set of concepts, terms and actions that encompass professional and project management field specializations. In total there are 10 knowledge areas that overlay within the five project management phases. The 10 knowledge areas are: project integration management, project scope management, project time management, project cost management, project quality management, project human resource management, project communications management, project risk management, project procurement management and project stakeholder management. These could be finished products, documents, services, or any results that are approved by the project initiator/owner, or authorized individual. This could also refer to partial products, documents or services within a phase or project that has been canceled. The key here is that it has been approved. This can be created when internal or external factors like changes in regulation, legal requirements, technological advances or limitations, changes in the market, or competition shifts. It influences business decisions and creates a need to take action. The business need is considered an input within the project statement of work (SOW) document. A group formally formed to review, evaluate, approve, schedule or reject, and communicate project change requests submitted by the project team. These are formal requests scheduled and submitted by the project team to the change control Board (CCB) to either prevent or correct an action, repair some sort of deficiency or make changes to a policy plan procedure or even costs/budgets or revise a schedule. These change requests are considered an output within the integrated change control process. In project management, this is the final phase/process group where processes are performed at the end of a project to formally conclude project activities. It involves confirming and documenting the customer is satisfied with, and accepts the project outcome(s). It also releases all resources/ stakeholders, concludes project activities, terminates all agreements, insurers updates to any project documents are complete, formally closes the project, and documents any lessons learned throughout the project. Usually refers to organizations that involve a combination of the previous structures and may have some middle-management, strategic and operational management that interact with project managers on all levels. This measures the costs at a point in time against a cost baseline and is used to calculate the estimate to complete (ETC). It is usually expressed as a cost variance (CV) and cost performance index (CPI). These are typically tangible products or results of the project that are distinctive and verifiable, needed for the purpose of completing the project or a part of the project. This measures how much work has been completed in comparison to the approved budget for the work. An organization’s internal factors that can influence/impact the outcome of a project and can include government/legislative changes, internal processes and practices, technologies, staff, and management and stakeholder risk tolerance, communication practices, and even corporate culture. A more strategic PMO that focuses all efforts on executing projects in alignment with overall business strategy. All projects and related activities are undertaken with the goal of supporting business objectives; ensuring projects are not initiated if they do not provide sufficient value to the business overall. The processes involved in this phase/process group involve actually performing the work defined in the project management plan required to complete the project. Throughout this phase, there may be changes to the cost, quality, time, resources etc. that may trigger change requests that need to be approved, and this may in turn require a need to revisit and update the project management plan and associated documents. This is the phase where a significant amount of the financial budget is spent as the actual work occurs here. This can refer to the judgment of the organization’s internal project managers, a project management office, other professionals, technical associations, or other sources, and relates to administrative activities required to close a project. This is a typical hierarchy in most companies. Each employee reports to one superior and departments are set up based on their area of expertise. In this type of organization, projects are selected and work is completed and measured for the most part separate from other areas. At the start of any project, before any work can actually begin, there are specific processes that are undertaken for the purpose of defining a new or existing project in order to obtain approval(s) to proceed with that project. This is the phase where all of the details and requirements are outlined and financial resources are determined and allocated. All stakeholders (individuals who will impact, or be impacted by the decisions, activities or outcomes of a project) who will be involved in the project are also identified in this phase. The goal of this phase is also to ensure the project’s purpose and objectives are clearly identified and expectations are set. This phase is referred to as the” Initiating Process Group” within the project management field and involves several specific processes. The process of reviewing, approving, managing and communicating, and formally documenting changes to aspects of the project such as deliverables, assets, documents, plans. This type of organization combines a functional and projectized features and can be weak, balanced or strong, depending on the influence of various management in different areas. If the management in specific areas utilizes their influence more than others, the matrix organization can be fairly weak whereas if the management in each of functional areas works together in synergy to accomplish successful project outcomes that meet business goals, this matrix organization can be very strong. Within this phase/process group, there are processes initiated to track, measure and analyze and control the project progress, resources, scheduling, time, and quality to ensure it is in alignment with the parameters outlined in the planning phase. The steps in this phase are repeated as many times as necessary. A significant amount of documentation may be required for the purpose of identifying any issues and corrective actions to be taken. Throughout this phase, there may be subsequent approvals required if changes are needed triggering additional documentation and/or updates to the project management plan. The monitoring and controlling are done throughout the entire project from execution. Every organization/business has their own procedures/practices, internal processes, plans, or databases used in conducting business. These are also utilized as inputs within the project management process. Aimed at achieving successful strategic alignment, this is a strategy-based execution framework that incorporates project, program and portfolio management combined with organizational internal policies and practices to improve performance, provide a competitive advantage, and deliver optimal results. This is the approved budget assigned to scheduled work (not including any reserves). Even though the budget for the scheduled work is allocated per phase, over the full duration of the project, it is actually measured at a point in time and identifies actual work that should be complete. This “Planning” phase follows the initiating phase; there are several processes performed that involve determining exactly what the project will entail in terms of effort, objectives, and activities. Items like the project management plan and other documents that are required to complete the project will be created. This is an extremely important phase/process group because project management is so multifaceted and requires that many activities including……….The goal of this phase is to define and document in detail things like the methods, actions, time, cost, quality, risks and path required to successfully complete the project and align with strategy. A significant amount of time, effort and attention to detail should be put into this phase in order to reduce the risk of errors, additional work, and possible failure later on. For the purpose of meeting strategic objectives, businesses may choose to group, organize and prioritize projects, programs or sub-portfolios. This is similar to program management, but at a higher level for the purpose of meeting overall business strategic goals instead of just meeting specific benefits. The documented detailing of characteristics of products, services or results and the relationships between them as well as in organizations need in this regard. One example could be why a business needs a business plan, the sections to be documented could be, the type of information required in the business plan, and how and when it will be used. The product scope is also considered an input within the project statement of work (SOW) document. If the company has similar projects, activities or subprograms they can be grouped and managed together as it may be more efficient and make more sense than managing them separately. For the purpose of meeting specific benefits, it would make sense that similar projects would then be categorized under one program instead of individual projects. In the project management field a project is defined as an undertaking that is temporary in nature for the purpose of creating a product, service, or result that is unique. A project must have a definite beginning and end (not ongoing), it can be over a very short or very long duration, but must remain a temporary endeavor. Projects are typically initiated by a party not directly involved in the project, like an executive of the organization or authorized representative. This is the first formal document created by the person initiating the project, permitting a project manager to launch a project and start utilizing the resources within an organization to predict/estimate project activities. This documentation sets out parameters such as the start and end date, as well as key high-level details of the project (including assumptions and limitations) in order to gain formal project approval from an organization’s management. This knowledge area spans the planning, executing and monitoring and controlling process groups/phases, and is responsible for planning, managing, monitoring and controlling project communications. This knowledge area encompasses the planning, estimating, budgeting and controlling of all costs within a project, and overlaps between the planning and monitoring and controlling phases of the project. This is a critical element in any project and is an organization’s model that incorporates the project lifecycle. This framework provides project teams with processes, tools, structures and decision-making mechanisms to manage, support, monitor and control projects for successful outcomes. The planning, acquiring, developing and managing of all human resources falls within this knowledge area. The human resource management knowledge area overlaps with the planning and executing process group. This knowledge area overlaps within all five (5) process groups (initiating, planning, executing, monitoring and controlling, and closeout). It involves the creation of initial project documents, as well as the directing, managing and controlling of all project work, performing change control in the closing of the project/phase. Includes a series of phases within a project including initiation, planning, executing, monitoring and controlling, and closeout. The phases can be broken down typically in more than one way, and the cycle can be determined by more than one factor, including industry organizational set up etc. When project managers and project team members utilize specific processes, knowledge and skills, techniques and tools, as well as inputs and outputs to successfully meet project objectives and requirements. The acronym PM is often used for both Project Manager and Project Management. A group tasked at managing, standardizing, facilitating, supporting, controlling and directing in organization-wide projects, programs, and portfolios. Once the project charter is approved, this highly comprehensive document is created, using the project charter information, it further details in great length all of the project parameters. This document should include baseline information on the scope, schedule, and costs. It should also include individual plans detailing at least for each of the following areas, scope, requirements, schedule, cost, quality, process improvement, human resource, communication, risk, procurement, and shareholder management. It could also include detailed documentation of how the work will be done, by whom, processes for implementation, project management, decision-making, methods chosen, tools and techniques utilized, specific dependencies, configuration requirements, communication methods, risk mitigation techniques chosen. There can be multiple additional documents incorporated as subsidiary project documents, but these do not make-up part of the formal project management plan. This plan is one of the primary documents utilized in project management. It can be highly detailed or at a summary level. An individual who is assigned by the company or representative of a company requesting the project. The PM is responsible for leading a project team, overseeing the project, and providing facilitation, in order to ensure successful project outcomes. This knowledge area encompasses the planning, conducting, controlling and closing of all procurements for the project. It extends throughout the planning, executing, monitoring and controlling and closeout phases. Three process groups/phases (planning, executing and monitoring and controlling) are intersected by this knowledge area which is responsible for the planning, performing and controlling of quality. Occurring primarily within the planning and monitoring and controlling phases of a project, this area of knowledge plans, identifies, and performs risk analysis and responses, as well as controls risks throughout a project. For project purposes this identifies and documents the actual project work that needs to be done in order to deliver a product, service or result and includes the parameters or limitations of the project. This knowledge area is applied within the planning and monitoring and controlling process group/phases and covers the collection and defining of detailed project requirements, creation of key project documents, and validation and control of the overall project products, services or results. Extending from the initiating phase through to the monitoring and controlling phase, this knowledge area covers the identifying, planning, managing and controlling of all stakeholders and stakeholder engagements. This can be project team members and/or internal or external individuals to the organization that are impacted by or impact the activities or outcomes of the project. A group of individuals consisting of a project manager, internal employees at various levels and other external stakeholders involved in the successful outcome of a project. These individuals can be resources dedicated solely to the project, or on a part-time basis. The area of knowledge that covers the planning, scheduling, estimating, sequencing of time, activities resources. 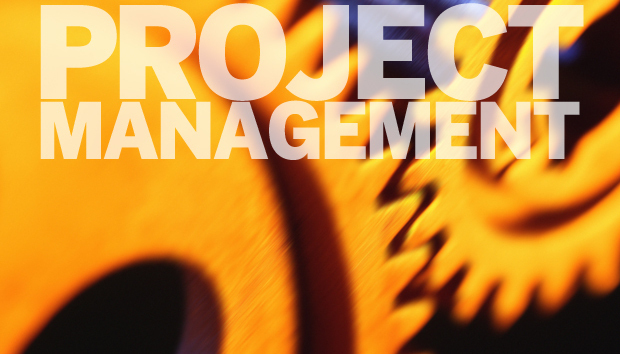 Project Time management intersects within the planning and monitoring and controlling process groups/phases. Organizations sometimes structure their work as projects rather than by departments or functional areas. This can reduce hierarchies, conflict and bureaucracy as all work is completed and measured by project outcomes, removing silos and related internal politics. This is the opposite of a functional organization; in this type of organization often times units or departments report to project managers or provide support indirectly, and focus efforts on meeting project goals aimed at strategic alignment. In this type of organizational set up there are no individual departments or units with their own individual goals. This unit of measure is used to determine how efficiently a project team is utilizing its time. The equation to calculate this is SPI = EV/PV. At a given point in time this measures how a project or activity schedule is progressing; whether it is ahead or behind the expected schedule and is the difference between earned value (EV) and planned value (PV). The equation to calculate this is SV = EV – PV. This is an estimation of the time to complete (ETC) a required activity. It is measured against the schedule baseline and typically it is expressed using the term schedule variance (SV) and schedule performance index (SPI). An internal or external individual or group that provides support or resources to a project. They support and promote the project throughout the organization and lead the project during the initiation phase to obtain approvals. They also assist the project manager in the event that issues need to be escalated throughout the project. This is an account /description of what will be delivered within the project, for example, the products, services or outcomes. For instance within the commercial construction industry it may be anticipated the end product as a result of a project would be an office building. Depending on the size or nature of a project, the desired result could simply be an internal or external document. The projected and documented formal or informal goals of a business that drive business decisions and activities, including projects undertaken. These decisions, activities, and projects should always align with the goals and vision of the business. The statement of work (SOW) should reference the strategic plan. Information about work-related activities that are identified and gathered through observation and further analyzed.